Thank you to all who took part in the SAA’s first Virtual Leadership Retreat. The total number of registrants reached 276—100 more than have attended in-person SAA leadership retreats. Participants included teachers from Canada, US, South America and a few from Europe as well. It was a great experiment—unique in many ways—and a great first step toward experiencing what SAA can accomplish through the web. For many it was a first introduction to new ways to provide and receive information and inspiration. As many have noted, virtual presentations cannot replace the live, interactive experience of a wonderful Suzuki conference or Teacher Training workshop, but it can provide inspiration between “live” opportunities or in times when some teachers are finding travel, time, and resources limited. The VLR ran from April 6 through May 10, 2009—a full month of offerings. Participants could join in on chats, video sessions, and even some live presentations. Both archival and brand new presentations were offered. Topics included Suzuki philosophy; running a studio, workshop or program; fund raising; Board development; leadership skills; self-development; parent education; Dr. Suzuki’s teaching; SAA’s programs (long-term training, Code of Ethics, new courses under development, Board function, etc. ); and much more. Some participants mentioned that they found the VLR “addictive.” Each day began with inspirational or instructive quotes on teaching and on leadership. Each day new presentations appeared on the VLR site on varied topics, hopefully to provide something for everyone! When participants logged on, they could see who else was online. With photos included, participants could connect a name with a face. Each week participants could test their knowledge of SAA history, or identify the baby photos of well-known Suzuki teachers, or share their “Magic Moment” in teaching. VLR featured institutes, newer instrument areas, and some new and exciting SAA programs that are now underway or under development. In the wrap-up survey, participants indicated that the most useful information gained was in the area of Suzuki Philosophy, with Leadership Skills scoring second. Participants also indicated interest in learning more Leadership skills in the future. It would be quite safe to say that no one really wanted it to end when May 10 rolled around! Missed this opportunity? Want to take greater advantage of some of the material that was provided? Much of what was presented in the VLR will be available in various ways and at various times in the future. Stay tuned! Click “media” on the homepage menu—a few A-V resources are already available on the website and more are to be added in the future. We appreciate the support from all of the following groups and individuals! Also included were many archival presentations from past SAA Conferences and Retreats and borrowed from the SAA A-V Library. Thanks to each of those presenters: Winifred Crock, Shana Essma, Pam Devenport, Dr. Lorna Heyge, Dr. Gail Johansen, Rebecca Sandrok, Ramona Stirling, Carolyn McCall, Sherry Immediato, Joanne Melvin, Daphne Hughes, Colleen Fitzgerald, Carl Cook, Dee Martz, Niki Hayden, Dr. Sarah Hersh, Mary Cay Neal, Sanford Reuning and Carrie Reuning-Hummel. Finally many thanks to the SAA Staff and Board. Special thanks to Jenny Ferenc, SAA webmaster. I feel much more connected to the heartbeat of the SAA and feel quite welcomed to this retreat. Thank you. This retreat has been a rich banquet—an inspiring feast of shared wisdom, knowledge and experience. …it is wonderful to connect with other teachers, even in this attenuated, online method which is becoming the way of the world now. This has been a delicious, multi-course snack to tide us over until the main course arrives at the conference next spring! I am also looking forward to possibly making new connections at the next biennual conference after having seen, discussed, and read comments on the VLR. A format like this puts people on an equal footing, whoever would like to participate can! …I was immensely impressed by the VLR site itself. So smart and well-laid out: presentations organized in different ways including topic so things were easy to find, the picture of participants idea was great, you can even read all the comments one particular participant has made, links everywhere, recent comments on any topic right on the home page, who’s online, chat lists, etc. etc. BRAVO! I really liked having the photographs of members beside their comments. Now when I attend the main conferences in Minneapolis it will be so much easier to connect names and faces. This is a wonderful way of building a sense of community. Thank you to all the persons who were organizing this wonderful VLR. It was a great opportunity for me to learn, share and exchange experiences with other Suzuki Friends. I am very glad and I am looking forward to join the next VLR soon! Thanks to all in the SAA Office for this event. I am drawn to it each day—first to read the quotes for the day, and then to decide what I can watch and/or comment on…. While I have missed the face-to-face contact of the normal retreat, I have been pleased to ‘meet’ new people in the Chat rooms and comments. I didn’t really expect to enjoy this kind of a learning experience but found it to be ideal in that it was available on my schedule and was therefore personally very rewarding. 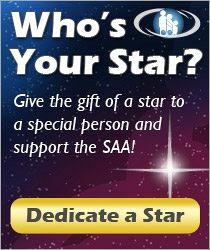 This event has reminded me of what an amazing membership and staff we have in the SAA. I am proud to be a member!